Now showing on the Air Auckland website is their summer schedule with daily scheduled flights offered from Ardmore to Great Barrier Island and Whitianga from 3 December 2018. 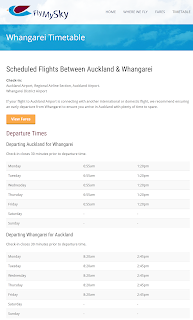 On demand flights are also offered to Whangarei, Hamilton and Tauranga. While not stated there seems to be a real tie in with Sunair and their schedule. Neither the Air Auckland or Sunair Facebook pages are showing any additional information. It will be interesting to see how this pans out over the summer. Fly My Sky launched their Auckland-Whangarei service this morning. The airline will operate two return flights each weekday using the company's Britten Norman Islanders. The first flight was operated in ZK-SFK. The northbound flight, FS3069 and the southbound flight, FS5076, used the callsign ISLAND 2K. The afternoon flights were also operated by BN Islander ZK-SFK. Regional Economic Development Minister Shane Jones says the new flight service between Auckland and Whangarei will bring more accessibility to the region at a lower cost. Jones says the new flights are the competition needed to boost tourism and accessibility to the region. "Let's take a look at Kaitāia, Air NZ stopped the flight to and from there. If we have this kind of competition then we'd have more tourism, more accessibility and at a lower cost," says Jones. Local MP Shane Reti also says the move will grow the region's Māori tourism potential. "Bringing more tourists to Whangarei through an improved schedule...that has to be good for iwi business, for Māori tourism," says Reti. On some occasions, flights on Air NZ can cost over $300 but the Fly My Sky flights can go from $99. Air New Zealand told te Kāea they have invested significantly in Northland, for instance, increasing seat capacity into Whangarei by 22 percent. 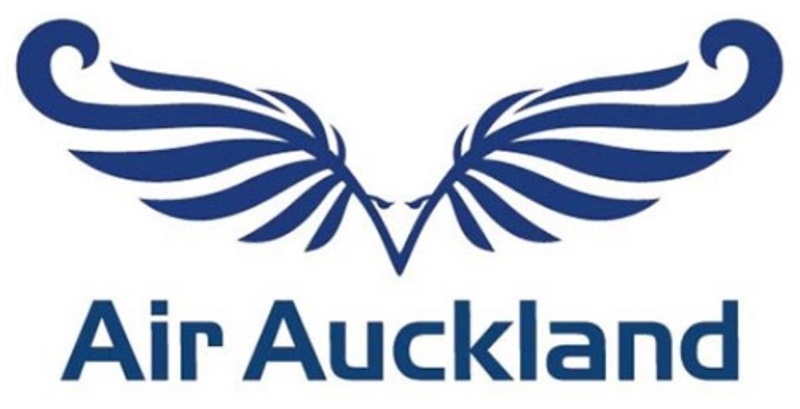 The airline says they are well-placed to compete on the Auckland-Whangarei and wish Fly My Sky the best with their services. A new commercial airline has landed its first passengers in Whangarei on Monday. It was the first flight of what will be two return flights daily from Auckland, Monday to Friday. Fly My Sky, a family-owned airline, has operated from Auckland for 38 years and has expanded into Whangarei. Chief executive and co-owner Keith McKenzie said: "Our company has considered the possibility of expanding into other areas for some time and Whangarei presented the best opportunity for us with the aircraft we currently operate." Fly My Sky own four 10-seater Britten-Norman Islander aircraft which are slightly slower than those operated by competitor Air New Zealand, but McKenzie says with the short distance between centres should only add another four minutes to the 35-minute flight. Fly My Sky aims to give more competitive rates and flight options which the company believes will better suit some people. "We are not trying to be all things to all people, just provide some extra scheduled options which once were available but have disappeared with the larger aircraft." Whangarei MP Dr Shane Reti was on board the inaugural Fly My Sky flight with the company's chief executive and co-owner Keith McKenzie. Whangarei MP Dr Shane Reti was on board the inaugural Fly My Sky flight with the company's chief executive and co-owner Keith McKenzie. The inaugural flight with Whangarei MP Dr Shane Reti aboard encountered a strong headwind on the trip north which delayed arrival by just over five minutes. "However, the reverse happened on the flight back to Auckland, we had a tail wind which allowed us to arrive slightly early into Auckland," McKenzie says. "The weather was very overcast and drizzly to start but we were greeted by a beautiful blue sky and sunny on our arrival into Whangarei – I hope this is a great omen for our service to Whangarei going forward. If we find the public is prepared to support the services we are currently offering we will look very seriously at providing other schedule operations and times in the future. We certainly think a third flight could be viable." Reti says it was a pleasure to be on the inaugural flight. "The decision to fly into Whangarei is sensible with a city growing at twice its historical growth rate and with gaps in the incumbents schedule. Whangarei people will benefit from more people, greater choice and increased productivity hours from those who are visiting." 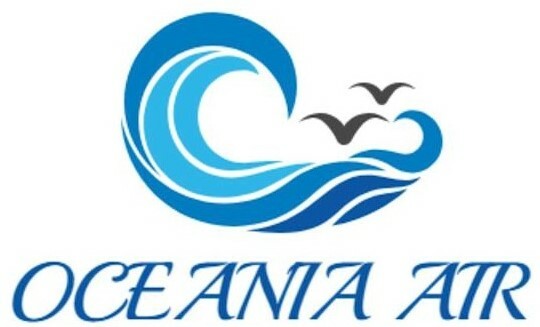 The owner of a small airline that introduced flights to and from Whangārei is unfazed by a lack of booking on its inaugural flight, blaming it on a lack of advertising. Fly My Sky chief executive Keith McKenzie and Whangārei MP Dr Shane Reti were the only passengers on the first flight that landed on a beautiful day in Whangārei at 7.43am yesterday. Whangārei retiree Peter Mills was the sole passenger booked on the return flight that departed at 8.25am. The Auckland-based airline operates from the City of Sails to Great Barrier Island and Whangārei on its 10-seater Britten Norman Islander twin-engine planes. Fly My Sky is advertising fares from Auckland to Whangārei of $99 one-way with a 23kg bag. 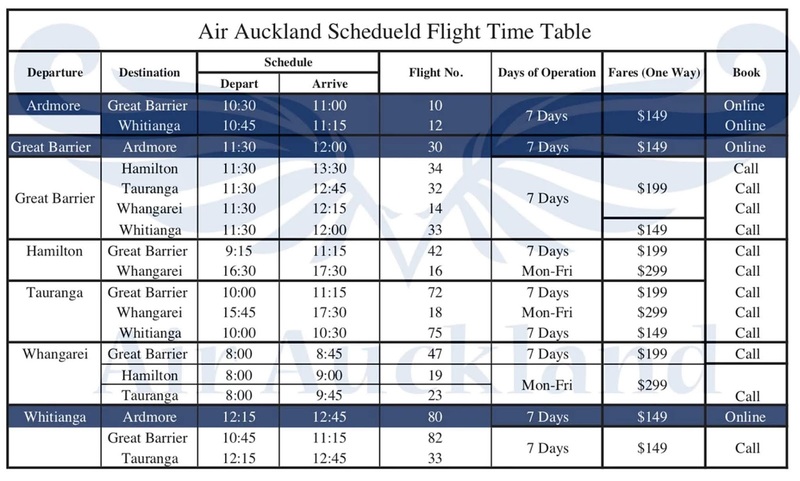 The airline flies into Whangārei twice daily from Monday to Friday. McKenzie said he expected bookings to "ramp up" as they headed towards the busy summer and festive season. "We haven't done much advertising as we prefer to keep it a little bit quieter rather than making a big song and dance about our entry into Whangārei but I'd expect bookings to pick up as we go along,'' he said. "We may add another flight as Air New Zealand's late flight is fairly booked but we'll decide that further down the track. Looking forward, I think we have a reasonable future ahead of us. We expected a slow beginning." McKenzie said the $99 fare would remain until Christmas. Lone passenger Peter Mills of Whangārei who was making a day trip to Auckland for coffee and to see a sick friend, said any competition on the route was fantastic, although he felt Air New Zealand provided a good service. "More competition means flights are more frequent and reliable and the fares are low. I just love the fact that it's the inaugural flight and the fare is good." Reti welcomed the new airline, which he said would be able to fill the gaps created by Air New Zealand. "When people come to Whangārei, they can be productive. They can arrive in time for breakfast, start work and get back to Auckland in time to avoid the traffic." Air New Zealand chief executive Chris Luxon has welcomed competition on the Auckland to Whangārei route. Another airline, Sunair, operates between Whangārei, Great Barrier Island, Hamilton and Tauranga based on demand and plans to open a flight training in Whangārei this year. 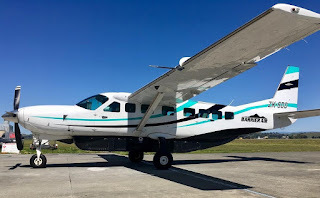 The interest on the Fly My Sky service to Whangarei has led me to work on a post on Northern Commuter Airlines which was the successor to Whangarei Air Taxis. They started operating with Nomad ZK-NDB. The first of Air Chathams' three charter flights between Auckland and Norfolk Island took off on Thursday 25 October 2018. The flight was operated in Convair 580 ZK-CIE operating as CHATHAMS 401 to Norfolk and CHATHAMS 402 on the return. The charter flights have been arranged by Pukekohe Travel, which has for a number of years offered tours to the Chatham Islands in conjunction with Air Chathams. Two other charters were advertised for 1 November and 8 November. There had been a previous passenger charter to Norfolk Island on 19 May 2018 when ZK-CIE flew to Norfolk Island for a music festival. This was Air Chathams' first international flight. Since then the company has operated some freight flights to Norfolk Island. Meanwhile Air Chathams is still hoping to have a regular service to Norfolk Island in place by early next year. The Auckland airline offering cheaper flights between Whangārei and Auckland has put back its start date by a week. Fly My Sky was expecting to start the $99 flights today using 10-seater Britten-Norman Islander aircraft. But the company's co-owner Keith McKenzie said last minute hitches had delayed the launch. Signs had not been delivered and engineers were waiting for a part from Canada for one plane. The flights are now scheduled to start next Monday. Yesterday evening (Monday October 22) Glenorchy Air chief pilot and co-owner Robert Rutherford, 71, was undertaking property maintenance when he fell and passed away. Robert Rutherford and his wife Janet founded Glenorchy Air Services and Tourist Company in 1992. In November 2017 they celebrated 25 years of operating scenic flights, charters and tours to many destinations in the South Island and are well known by many in the community. The company has temporarily suspended commercial operations as a mark of respect for staff, family and friends. Glenorchy Air requests privacy for the family at this sad time. In yesterday's Dominion Post there was an Advertisement of Application for putting air2there into liquidation. The application was filed on 25 September 2018 by Nelson Airport Ltd with the case to be heard on 6 November. This follows air2there's Beech Super King Air being last flown on 10 September and Originair's Jetstreams were last used on 12 September. The Jetstreams were operated for Originair by air2there and since then Originair's services have been operated by Air Wanganui. The airline has not operated its Paraparaumu-Blenheim-Nelson-Paraparaumu triangle since earlier this year. If anyone has a last date for this service I would be interested for the records. 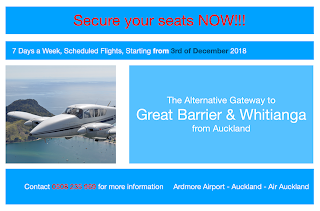 There has been a recent scam to try and get funding for the airline on give-a-little nz. The page is in the process of being taken down. Investors MUST approach us privately by phone, email, or facebook messenger. We will NEVER publicly ask for money. Please be aware and contact us immediately if you suspect there is a scam out there under our airlines name. 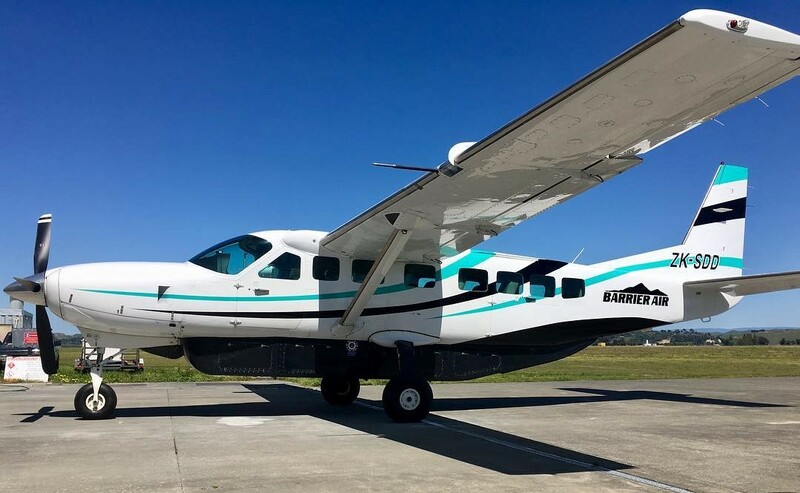 Out of the paint shop is Barrier Air's newest Cessna Grand Caravan ZK-SDD and it is wearing the company's new colour scheme which will be applied to the fleet. The aircraft previously was operated by Sounds Air as ZK-SAW. It looks as if ZK-SDD will be in service this weekend with Barrier Air scheduling a number of additional flights for the long weekend. The airline has also expanded the number of scheduled flights between Auckland and Great Barrier Island from this week. Another six commercial flights will be arriving and departing from Hamilton Airport each week. The airport's patronage continued to increase as Air New Zealand announced it would increase its Hamilton-Christchurch capacity by 11 per cent from the end of October. There are to be an additional four direct flights between the cities each week. The new Christchurch to Hamilton services will fly on Tuesdays and Saturdays, while flights from Hamilton to Christchurch will be on Tuesdays and Sundays. The 68-seater ATR aircraft will provide the new services in and out of Hamilton. Two more direct flights will also be offered between Hamilton and Wellington, both on Mondays - one flying south, the other coming north. Waikato Regional Airport Ltd chief executive Mark Morgan said the new flights should be "easily sustainable". "We're seeing some very competitive fares on direct routes between Hamilton, Wellington, Christchurch and Palmerston North and that's being reflected in increased passenger numbers across the board," Morgan said. "For many travellers Hamilton is now an affordable, more convenient option than other airports, including Auckland." The extra flights will mean 408 more seats are on offer each week from Hamilton Airport, presenting a strong possibility of around 7000 passengers will pass through the airport's gates each week. 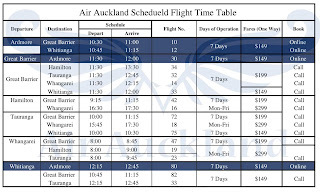 The services will be provided by the 68-seater ATR turboprop aircraft, and come close on the tail of the new Friday flight launched between Hamilton and Wellington in April of this year. Waikato Regional Airport Ltd also announced at its recent annual general meeting that it achieved strong financial performance in the 2017/18 financial year. The company declared its second consecutive dividend, addressing the five councils that own shares in the airport. It is a council-controlled organisation owned by Hamilton City, Otorohanga, Waipā, Waikato and Matamata-Piako district councils. Also included in the stable are wholly-owned subsidiaries Titanium Park Limited and Hamilton & Waikato Tourism Ltd. A total dividend of $250,000 will be paid out to the shareholders based on earnings from the 2017/2018 year. Last year was the first time since 2012 that airport operations made a profit, independent of the wider group of companies. Since 2016, the airport had returned a profit largely on the back of land development. As indicated earlier in this blog Sounds Air's Cessna 208B Grand Caravan ZK-SAW (c/n 208B2087) and has been sold to Barrier Air and reregistered as ZK-SDD on 10 October 2018. The previous day ZK-SAW flew from Feilding to Napier. Something to watch out for... the ad below has appeared on the Air Auckland website but when you click the link "Nothing to book right now. Check back soon" appears. What is interesting is the picture is of a Sunair Aztec so one wonders if there is some kind of deal about to be done between the two operators? New Zealand domestic airline Air Chathams says it is hoping to have a service to Norfolk Island in place by early next year. Norfolk has been without a New Zealand airlink for more than a year and its tourism industry has been suffering as a result. Air Chathams had earlier revealed plans for flights to start in September but company spokesman Duane Emeny says they struck some unforeseen obstacles. "Yeah it's been a longer process than we would have hoped. We are still working through some of the regulatory requirements and we have just recently taken on the Auckland to Kapiti air service and that has put quite a lot of strain on our resources. So we just don't want to rush into anything with Norfolk. We want to make sure when we start that service we do a really good job, live up to our reputation." Duane Emeny says Norfolk hosts a series of festivals early next year and Air Chathams wants to be ready to provide a service in time for those events. It looks like Originair have shelved their new Palmerston North-Napier service at least for the time being. An Air Chathams' Metroliner operated the Nelson-Palmertson North run this morning and later the return service but it seems as if it did not head up to Napier as scheduled for the first flight on that sector. 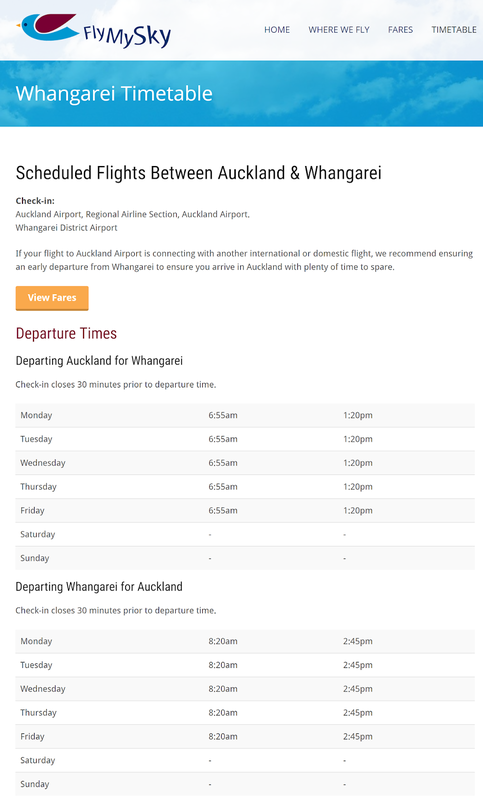 Originair's reservation system list full flights in the next few weeks on the Palmerston North-Napier indicating that the service may be operated. Is that an Air Chathams Plane? Is that an Air Chathams plane I was asked on Saturday?